If you’ve been on Mt. Vernon Avenue in the evening over the past week, you may have noticed some extra energy. 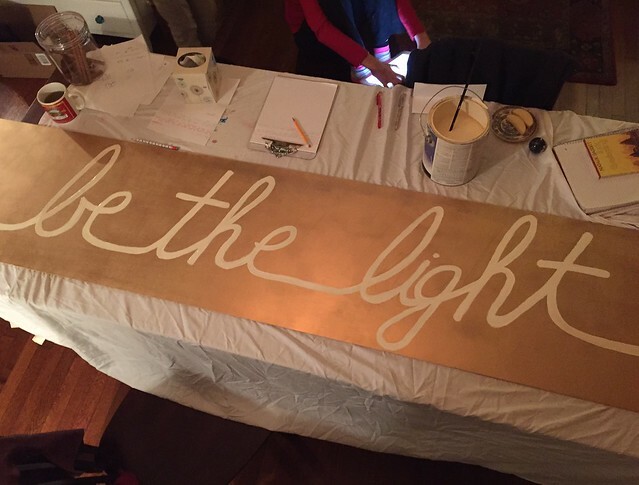 On Saturday, December 3, I launched, “Be the Light,” a new community art installation. 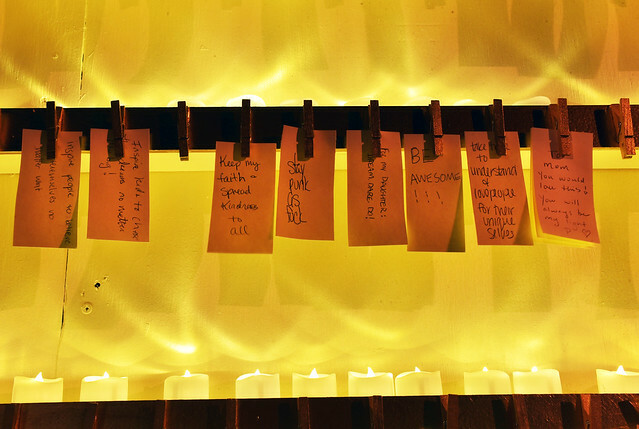 The project asks visitors to think about the light inside of them, write an intention about how they can bring that light into the world, then light a candle to add to the display. 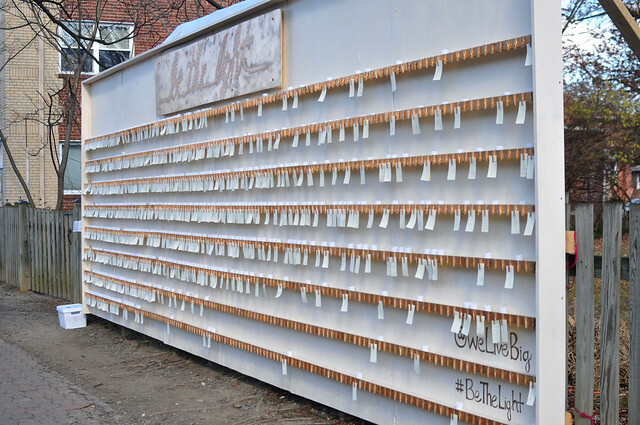 “Be the Light” is my third interactive public art project over the past year and a half. 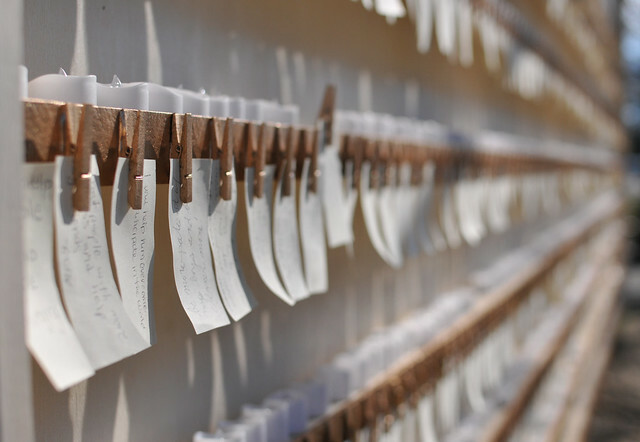 (The first was the Courage Wall; the second was UNITY.) It was inspired by the idea that sometimes my light feels covered up by sadness, pain or heartbreak. I wanted to bring people together in a way that allows them to be vulnerable through anonymity. By creating a space where people can participate without sharing their identity, they can be completely authentic. This allows their contributions to become the “everyman’s (or everywoman’s)” contribution. We see the light and shadows of ourselves when we experience others’ contributions. Sharing the whole of the human experience moves people at an emotional level. I also considered how to make the project larger than life. To feel that we are all a part of something larger than ourselves is a powerful feeling. When we see a project of mass, in public space, we feel the power of being connected to something larger than ourselves. The structure itself is mostly made of reclaimed wood from the Courage Wall built back in 2015. 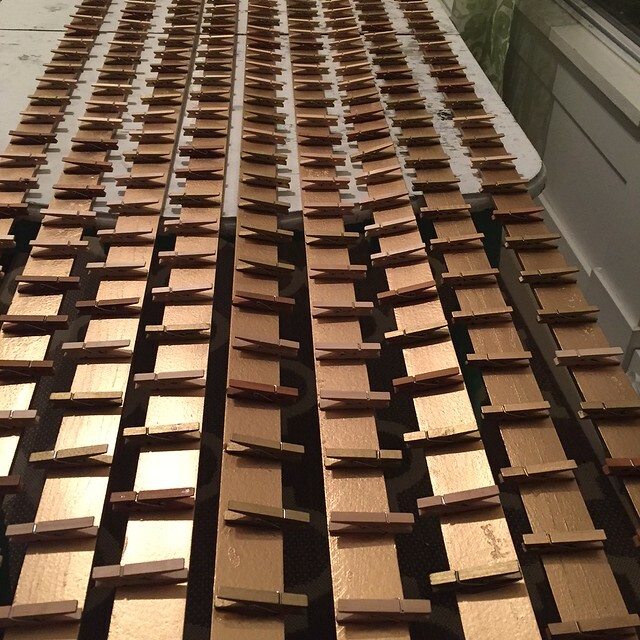 Sheets of 8′ x 4′ plywood abut together to create a 24′ x 8′ surface for the shelving. The plywood is framed with 2 x 4s on the top and sides to shield the intentions from rain. A sheet of plastic affixed to the back is pulled over the front to protect from heavy rains. The plywood backing is held up by 2 x 4s bolted to the existing fence as well as longer 2 x 4s creating a diagonal support behind the display. 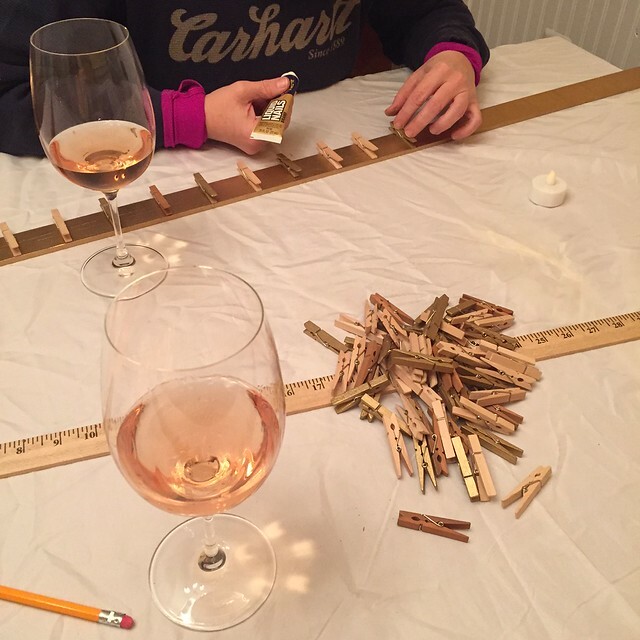 Because most of the structure was already built for the Courage Wall, the most labor intensive part of the project was gluing the clothespins (purchased at Michael’s and online), which took at least 8 man-hours with help from family and friends. 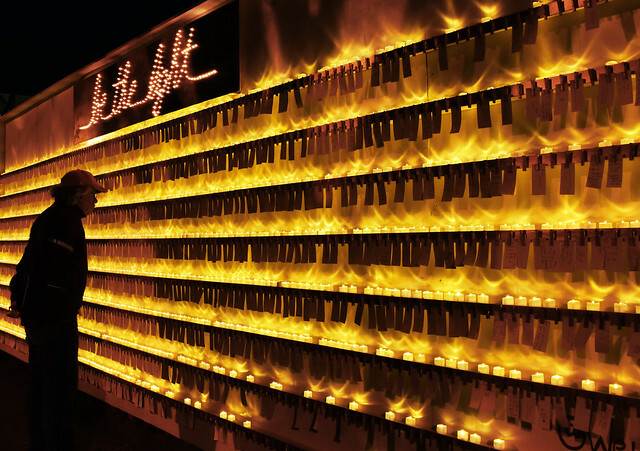 The second most time consuming part of the project was the creation of the Be the Light sign, which is made from a cut down 8′ x 4′ sheet of smooth plywood cut down to 19″ x 8′. 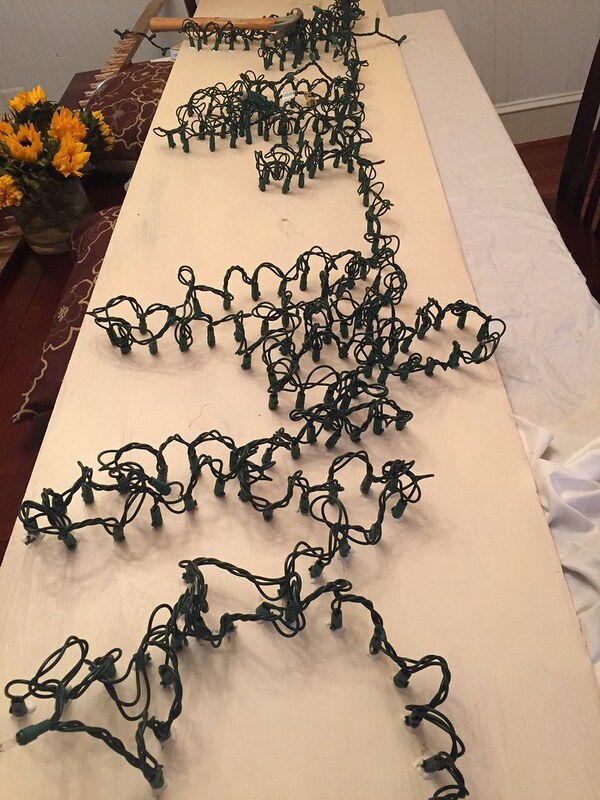 I used the scrap to test the gold spray paint (Sherwin Williams Metallic Gold), white hand lettering and drill sizing to fit the Christmas tree lights. 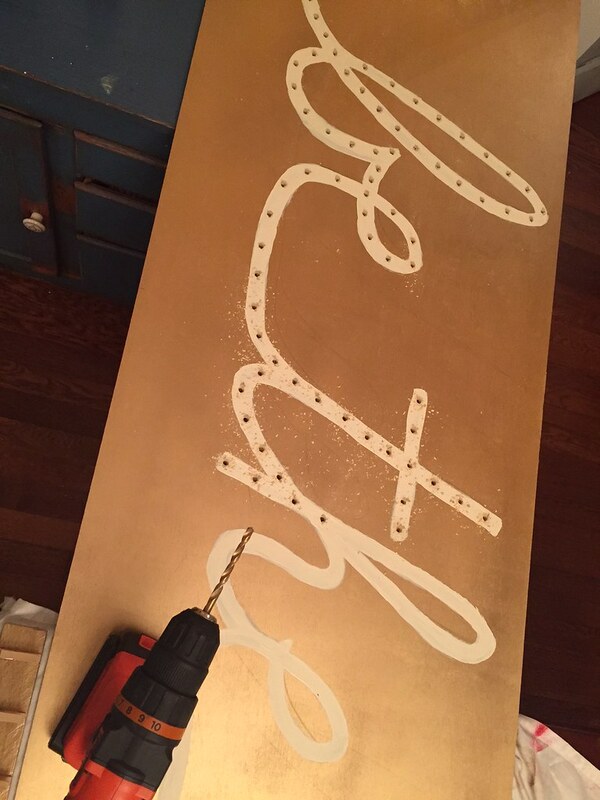 The finished sign uses two strings of 8′ lights with each light individually glued into the drill hole from the back of the display. Painting the plywood and shelf facings only took a few hours over a couple weekend with the help of two friends (Jen Walker and Riikka Noppa) and my kids. Erecting the structure only took about an hour with two handy guys (my ex-husband Dennis and my sister’s fiancee Sam). The project was funded by the community through a Go Fund Me Campaign that raised over $2,000 in 24 hours. 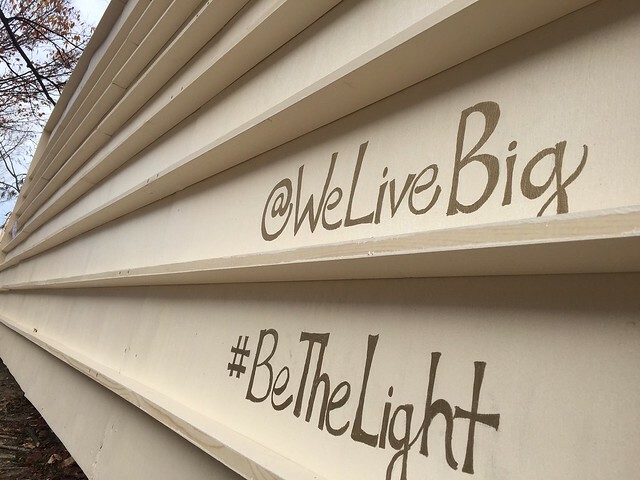 Many thanks go to all of the contributors to the campaign, Bean Creative for allowing us to use their property, and Kiskadee for supplying the power for the Be the Light sign. We turn the lights on each night around 4:45 p.m. and off around 10:15 p.m. Now that there are over 1,000 lights on the installation, this takes a full hour for one person. Community members have stepped up to volunteer for shifts, which helps the lighting go much more quickly. If you happen to be in Del Ray during those times and want to help with the lights, we’d love to have you! I hope you’ll make it down to “Be the Light” before December 26 to share how your light will shine more brightly. Wishing you love and light this holiday season!